Nub's Nob is a family owned area. 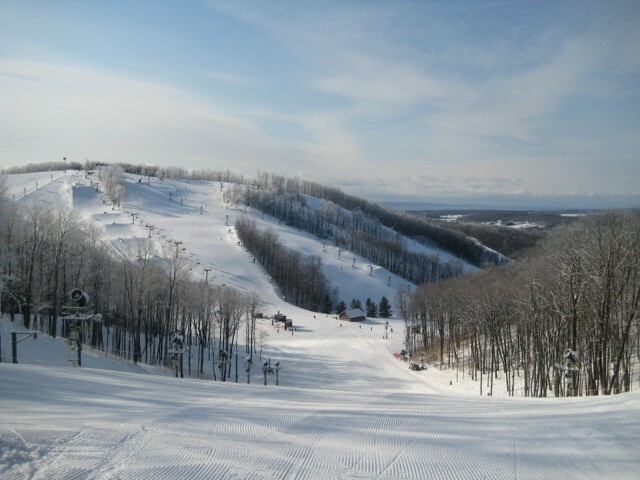 There have been plenty of on-mountain improvements made over the years and it's become a favorite among Upper Peninsula skiers and snowboarders. Two peaks, three areas and 53 trails, nine chairlifts with 17,320 skier per hour capacity. Award winning day lodge with cafeteria, full service rental and repair, ski school, day care, and free beginners area. 100% snowmaking.